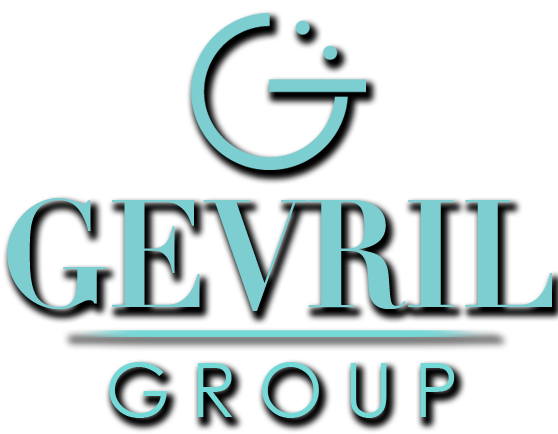 The early 1990s were significant years for Gevril, culminating in the launch of the company’s first offerings of the modern era in 1994, a collection of timepieces with similar design characteristics in multiple sizes with different complications. 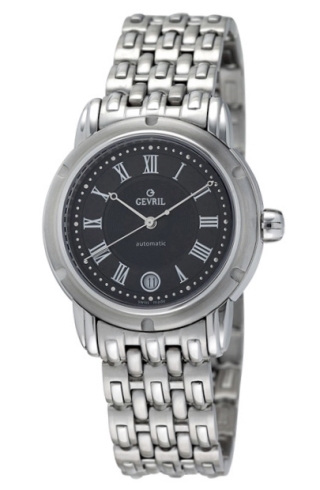 Together these comprised the “first generation” of modern Gevril watches and represented the brand’s renaissance. 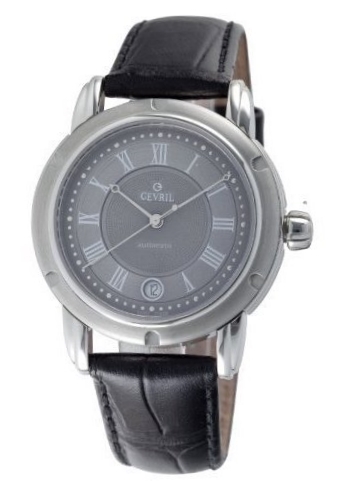 Gevril chose an ambitious path, launching half-a-dozen watch styles concurrently. To do so Gevril watchmakers decided upon a single, innovative case design. The most noticeable aspect of the construction was a threaded bezel with six recessed notches designed to fit a special tool to screw the bezel down. The benefit of this mechanical construction was that it allowed for customization by providing the ability to switch “decoration rings” in and out. These decoration rings (the sides of the case, essentially) fit into the case around the dial and were available in stainless steel or gold to either match or contrast the case. The rings also had names — one was Sevilla, another Granada and a third called Cordoba — all Andalusian Spanish cities, a nod to Jacques Gevril and his role as Spain’s royal watchmaker in the 1700s. The threaded-bezel design was actually Gevril’s second patent of the modern era; the first was the innovative Unlocked Crown Indicator (UCI) system, which provided a visual queue on the dial that indicated whether or not the watch crown was screwed in properly. In addition to the patented threaded bezel and UCI novelties, watches in the First Generation Collection shared several other attributes including cases, bezels and bracelets made of either stainless steel or gold — or a choice of several colored leather straps. Dial colors included silver, black and various two-tone combinations, and dial designs featured circular engraving and pomme hands with either Roman or Arabic numerals. Every First Generation watch was Swiss made. 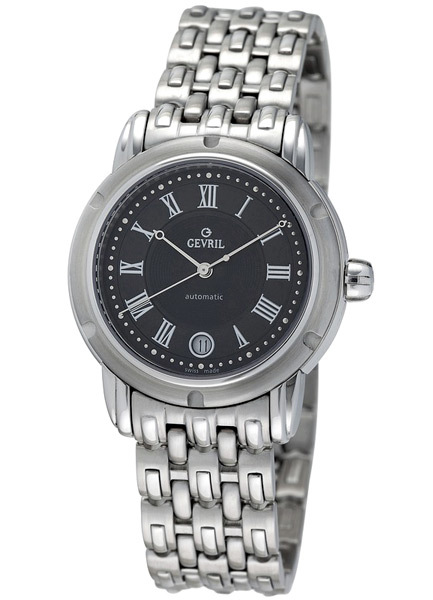 The Gents Automatic was available in a 39 mm case or a midsize 35 mm version. Both shared similar traits including the threaded bezel and UCI indicator. The Gents series had 11 dial variations. 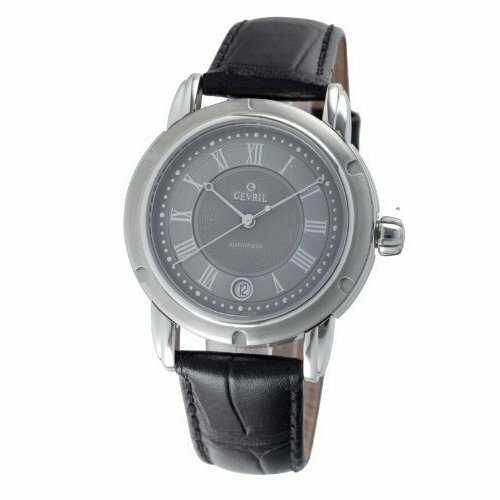 The large Gents Automatic housed an ETA 2824-2 movement while the smaller Gents Midsize housed an ETA 2681 automatic, both of which were individually regulated and featured time-only functionality. Another men’s 39 mm automatic, the First Generation Chronograph was a classic timer powered by a modular movement consisting of an ETA base and a Dubois Dépraz chronograph module. The Chronograph had a 12 hour counter at 6 o’clock, a 30 minute counter at 9 o’clock and a perpetual seconds counter at 3 o’clock. 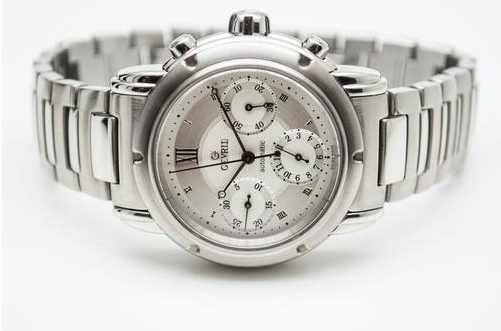 The Chronograph Chronometer was an enhanced version of the standard Chronograph. 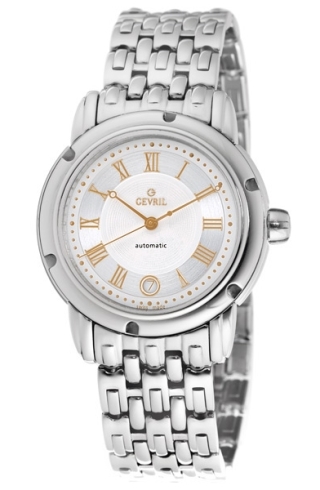 All of its movements were submitted to and certified by the Contrôle Officiel Suisse des Chronomètres. Like the movement in the standard Chronograph model, the chronometer version featured a Glucydur balance wheel, Nivarox hairspring and Incabloc shock absorber. 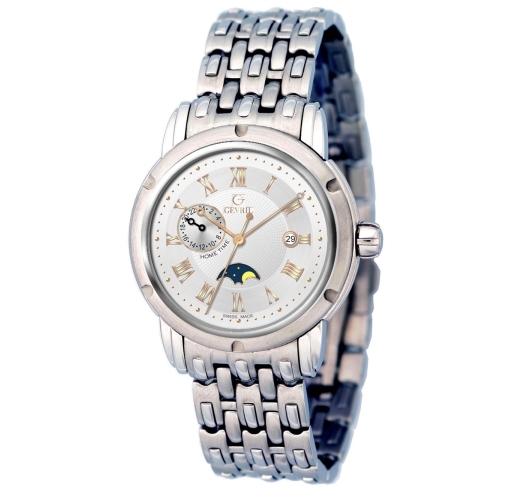 The watches had a date function and the word “chronometer” displayed on the dial. The 36.5 mm case was appropriate for both men and women. Another model with the two case sizes, the DayDate came in a large 39 mm version as well as a 36.5 mm version for men and women. 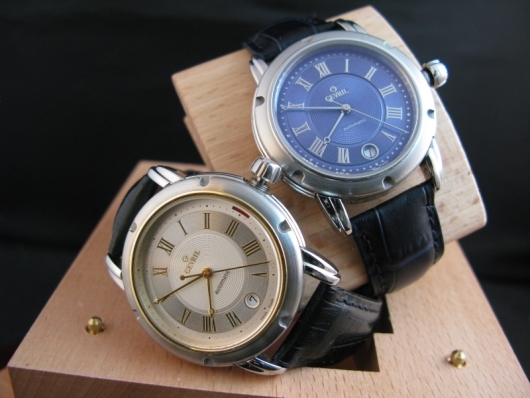 Both sizes contained an automatic Gevril C0110 movement based on an ETA 2892-A2. DayDate models had attractive concentric sub-dials with dual pointers: the outer track displayed the date and the inner track displayed the day. DayDate models also utilized the UCI display. 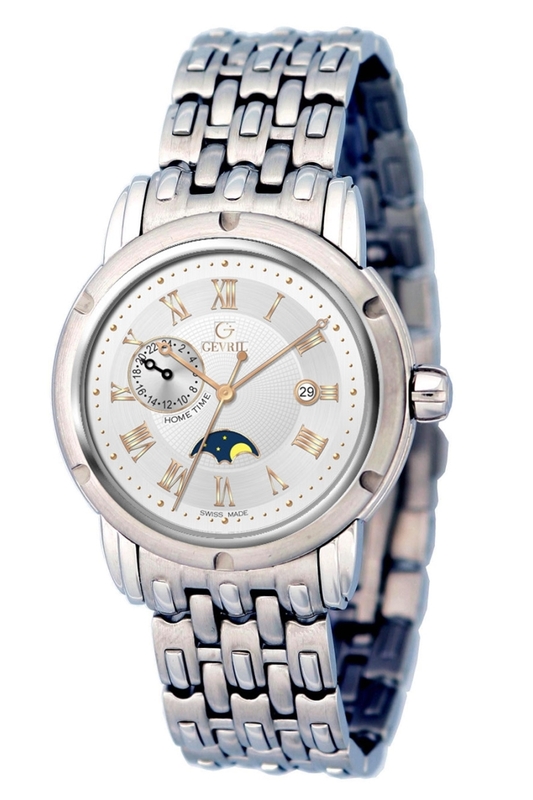 Another dual-time model in the Gevril First Generation Watch Collection featured a moonphase at 6 o’clock, the date at 3 o’clock and a home-time subdial at 10 o’clock. “Fifteen degrees” models featured the travelers’ complication — a dual time zone with day and night indicators that corresponded to home time. The standard size was 39 mm and the midsize was 36.5 mm. Both housed an automatic Gevril B0110 movement based on an ETA 2892. Both varieties utilized the UCI display. The 15̊ was a predecessor of the Gevril Serenade. Even though the movement inside the Ladies model was electronic, the case was the same with its threaded bezel and interchangeable decoration ring, albeit in a daintier 26.5 mm package. Twelve dial variations were available. 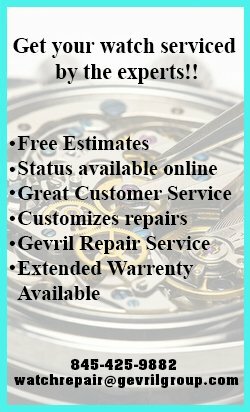 The watch featured a battery end-of-life indicator to let the owner know when the ETA 956.112 quartz movement required a battery change. 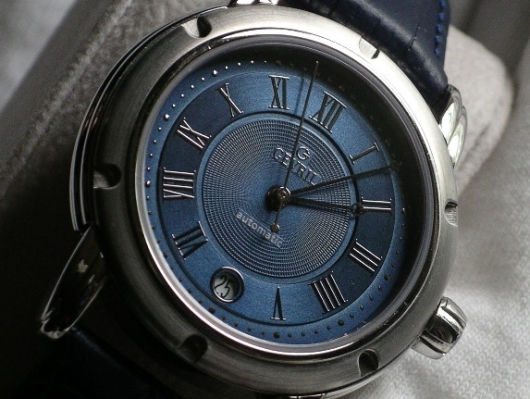 Each watch had an individual number engraved on the caseback. The wide array of styles and complications in Gevril’s First Generation Collection was an indication of the elaborate plans the company had for its future. 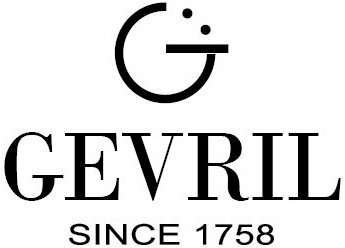 Whether the watch was mechanical or electronic, featured a simple or elaborate complication, or came housed in steel or gold, the Gevril First Generation Collection had something for everyone and was worthy of the traditions Jacques Gevril began centuries ago. I also have a copy of the 70 page book GEVRIL by Roland Carrera. I have one example of every 1st Gen Gevril but for the ladies which I gave to my daughter. Would be happy to post photo of the collection.